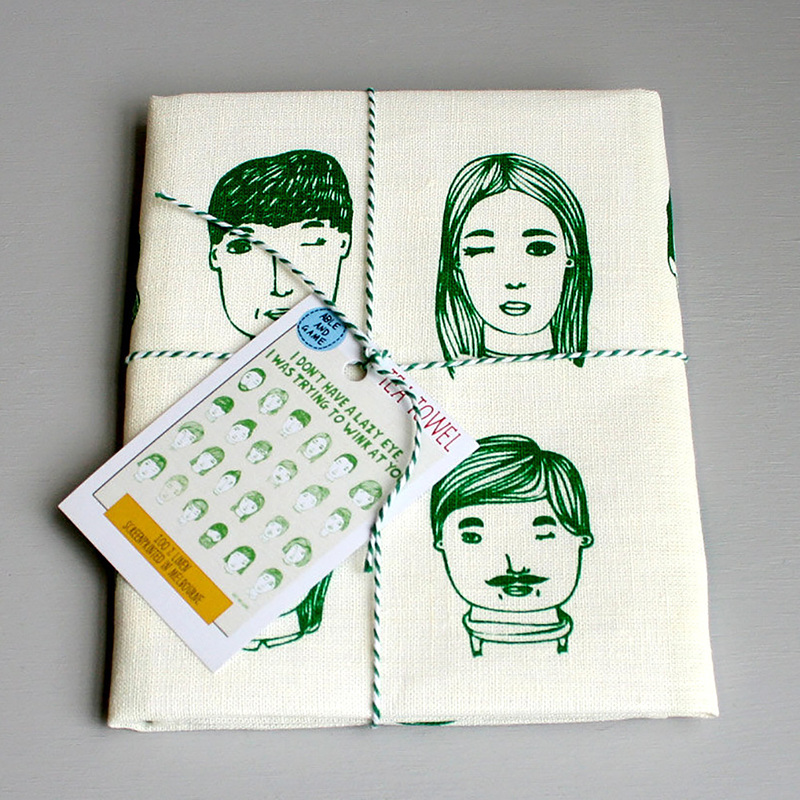 This tea towel features two dozen handdrawn faces of people (attempting to) wink. It really is full of personality/personalities! 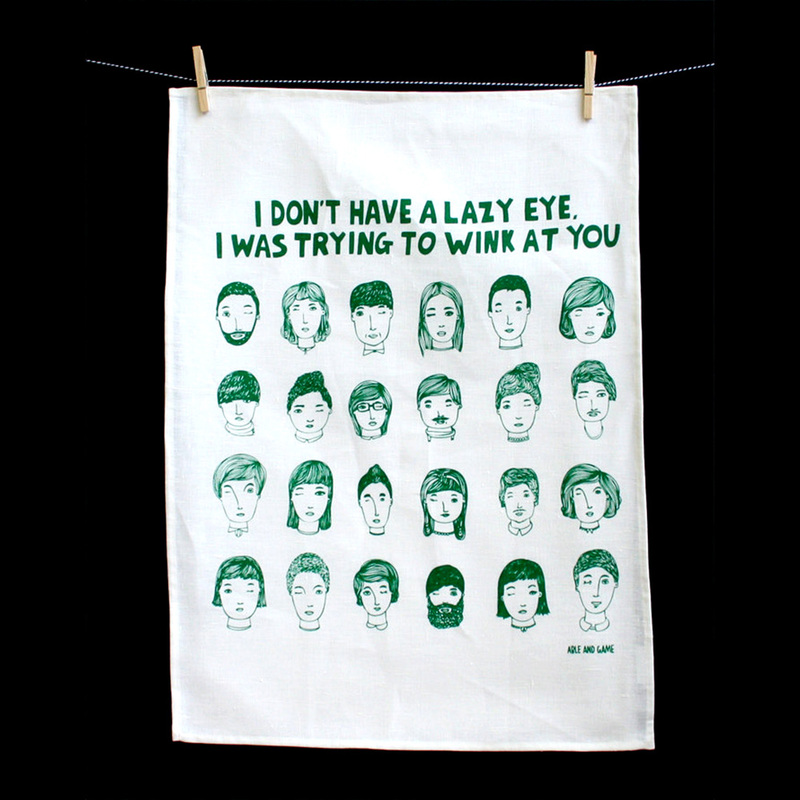 Screenprinted in green, the title reads, "I don't have a lazy eye. I was trying to wink at you".